Sometimes design decisions are a question of choice, and sometimes they’re guided by necessity. 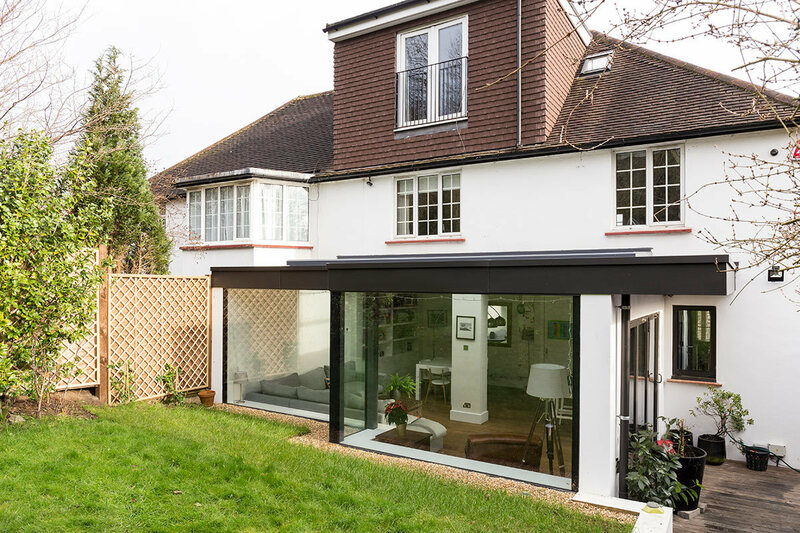 The large, sloping garden of this four bedroom family home meant that their uniquely shaped rear extension was a little of both. 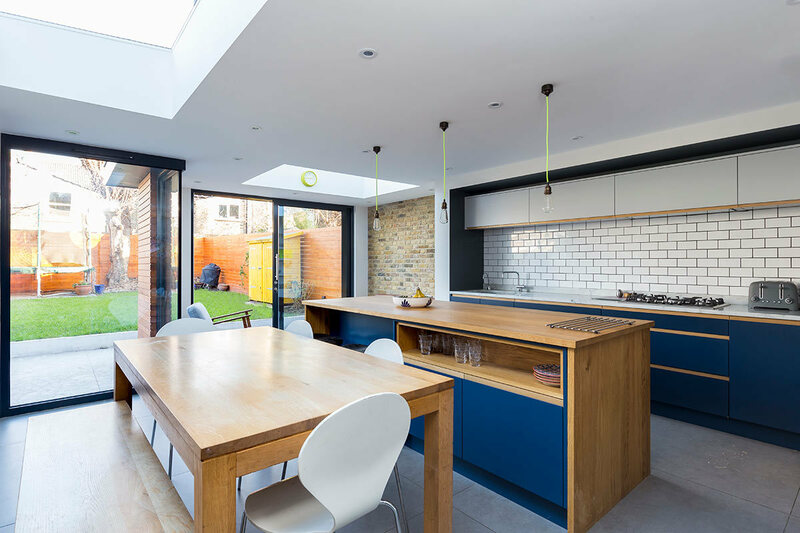 Our client wanted to double the size of their kitchen, transforming it into a large, bright living space where the whole family could hang out. Crucially, they wanted a unique design that was created just for them, rather than providing something off-the-shelf. 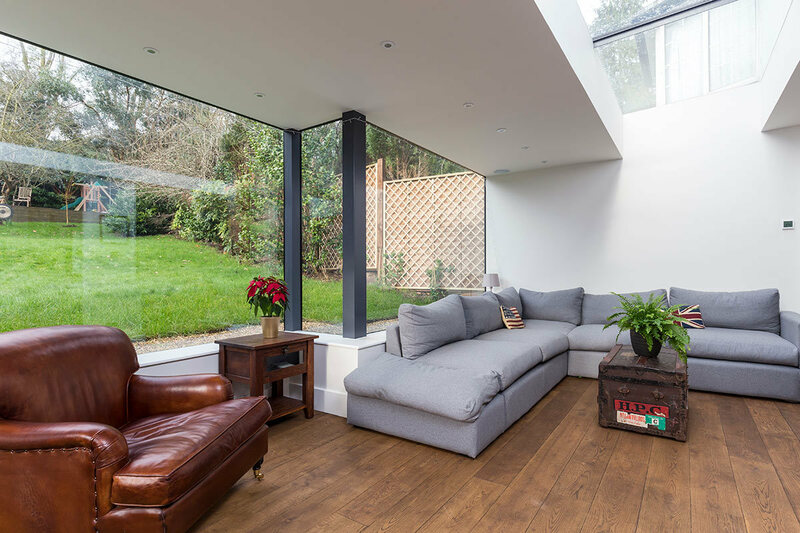 Luckily, the deep slope of their large garden meant that an extension would have to interact with the existing landscape. With a budget of £75k, we proposed building a retaining wall to create a sunken feel, with huge windows and a carefully positioned skylight to ensure the space was both embedded in its environment and filled with light. 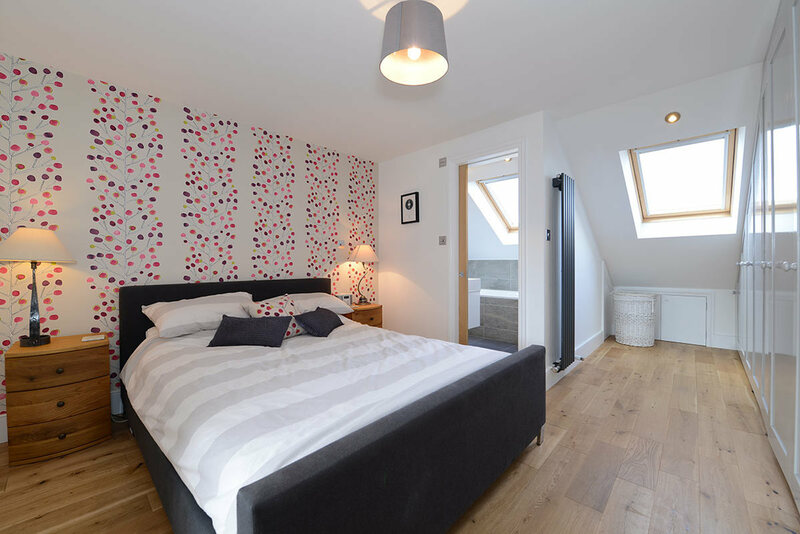 They began by opting for Resi’s Planning Package, which costs £720+VAT. For this, they got existing floor plans, as well as floor plans and elevations for the new design. They also decided to add on 3D renders, which helped them to visualise the space for their builders. It also meant they could choose their fixtures and fittings early in the process. 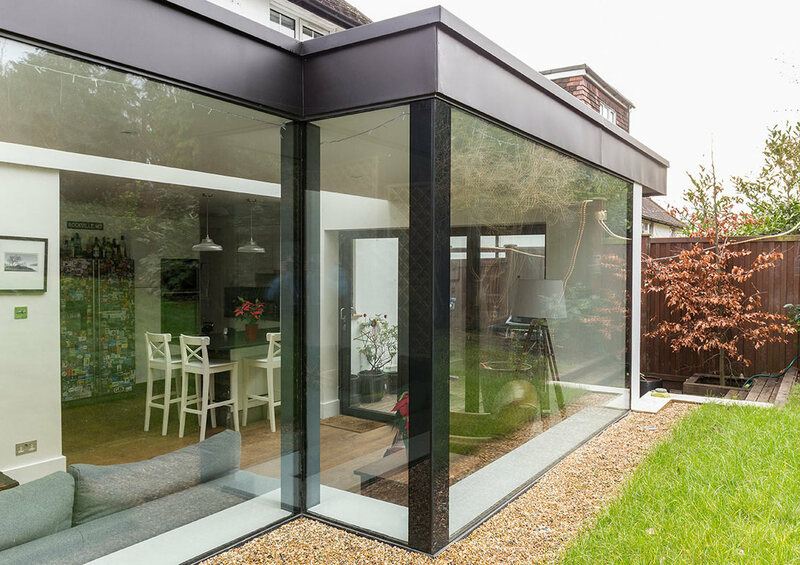 As they wanted to use modern materials that didn’t exactly match the existing structure, and the extension was larger than what is included under permitted development rights, we submitted a planning application on their behalf. 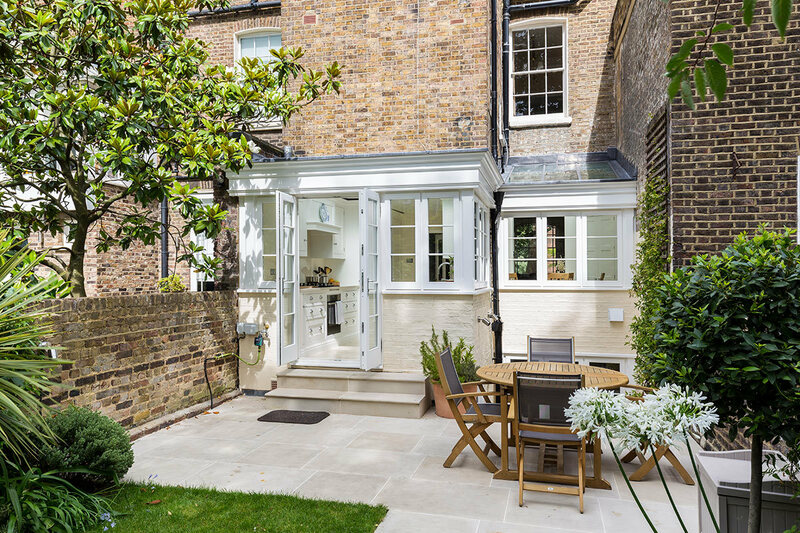 This was approved, with the condition that we cut into one side of the design to protect the privacy of their immediate neighbour, which led to the creation of a partial seating nook. Breaking up what would have been a straight line added a quirky individuality to the space without having to commit to anything too wacky. 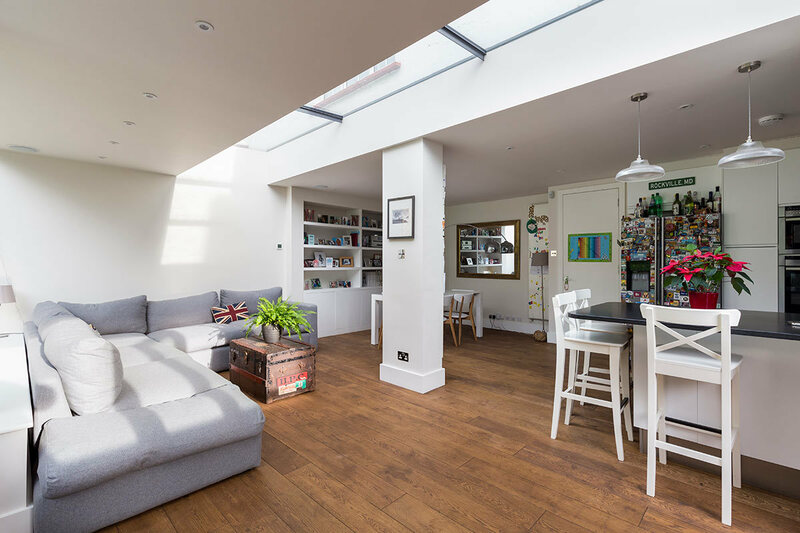 We also suggested that the client place the long skylight alongside the original wall of the house, rather than up against the new windows, which significantly improved the brightness towards the back of the space. We proposed the addition of a single column, which reduced the size and weight of the beam and cut costs without detracting from the open feel of the room. 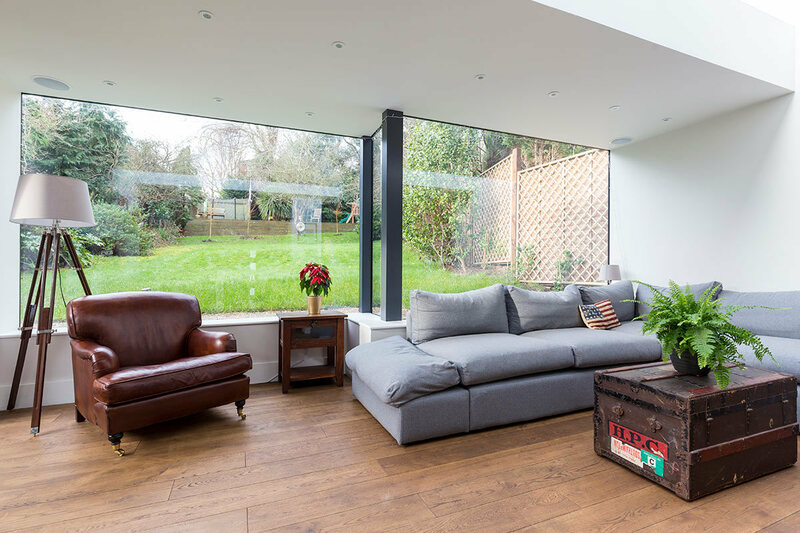 This project is an excellent demonstration of how a best-practice extension can be adapted to create a bold yet cosy space for the whole family to enjoy. By choosing lines and shapes that suit the environment, the most modern development can feel like a perfectly natural fit!